TimeToTrade has been developed to meet the needs of today's private investor, providing you with the tools you need to manage your investment tax planning and determine your UK HMRC Capital Gains Tax liabilities. So you always know exactly where you stand. 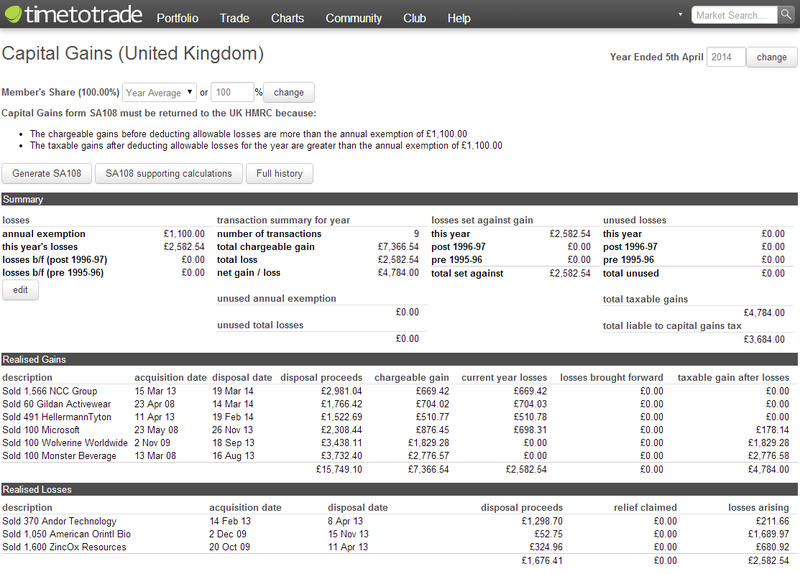 TimeToTrade will help you to determine your combined Capital Gains at a glance and provides you with all the information you need to complete UK HMRC Capital Gains Tax Form SA108 for Private Investors and Form 185 for Investment Clubs. 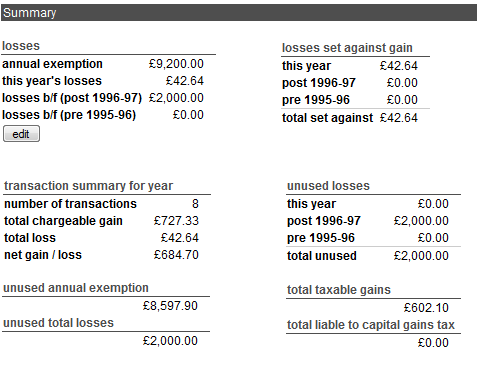 The system uses UK HMRC share identification rules, and supports indexation for pre-1998 holdings, business and non-business taper relief and offsets current and brought forward losses against gains to determine your capital gains. 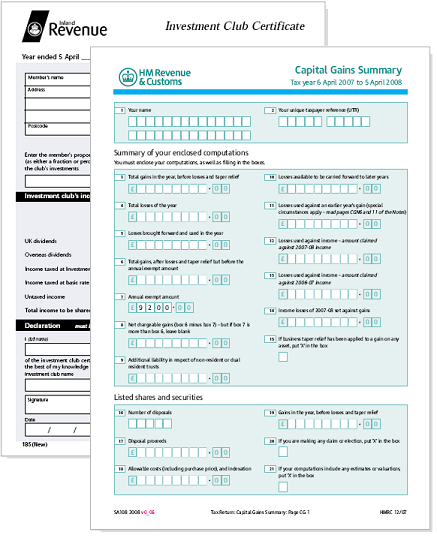 The Capital Gains Tax pages provide a summary of your overall Capital Gains liability, with a full detailed breakdown of Realised Chargeable Gains and Losses for each disposal. The system uses UK HMRC share identification rules and calculates any indexation allowance due on disposals of assets aquired prior to April 1998, along with applicable business and non-business taper rates to determine your taxable gains. As TimeToTrade is web-based, any legislative changes are automatically incorporated into the system, so you don't need to worry about keeping track of software updates or downloading the latest tax utility. We take care of all of that for you. 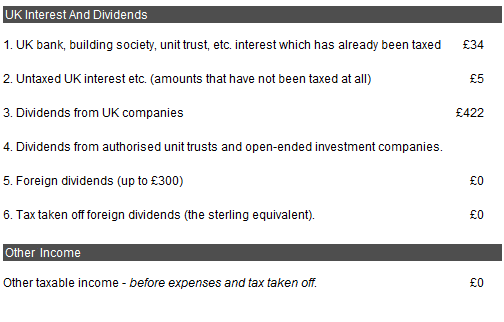 TimeToTrade's Income Tax pages provide you with a consolidated report of your total interest and dividends received from your investments, presented in a format to help you complete Self Assessment Form SA100 as required by HMRC. You can access TimeToTrade from any computer that has internet access and we take care of all the important stuff like ensuring your data is backed up every day and stored securely. So no more downloads, executable files, or lost data from computer crashes. To access the Capital Gains Tax calculator, you will first need to create a TimeToTrade account, so let’s start there...Create a free TimeToTrade account now.